“Awakened Amalgam” is a */* artifact creature, golem, that costs four colorless mana to cast onto the battlefield. The card itself is fairly new as it's a rare in the currently released Rivals of Ixalan, which launched January 2018. The card is currently in its first print. It will be a few years before Awakened Amalgam is reprinted in a future expansion set or a core set. If you plan on playing Awakened Amalgam in a deck, you may want to use a multicolored deck that uses non-basic lands. For this reason, you shouldn't run Awakened Amalgam in a mono-colored deck. Say that you are running a blue deck with all Islands, then Awakened Amalgam remains a 1/1 creature for as long as it remains on the battlefield. Even in a mono-colored deck, think about what lands you are going to use as they should fit whatever theme you're using. It's best that you use Awakened Amalgam in a three-colored deck and use a number of non-basic lands, that you can make its power and toughness at least 3/3 or 4/4. 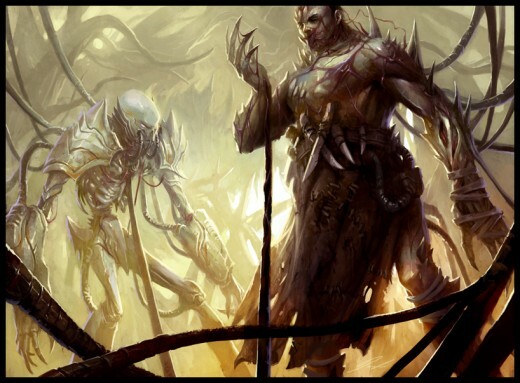 Personally, I would use Awakened Amalgam in an EDH or Commander deck that has a lot of non-basic lands. 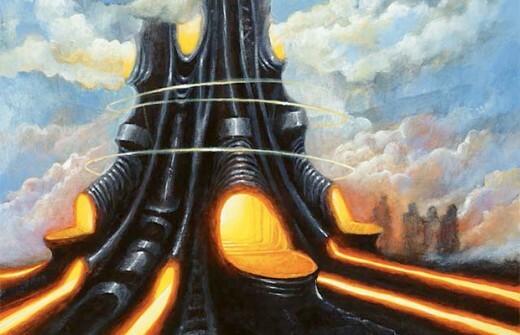 The rules of those formats only allow you to have any card in your deck, but only one of each; however, the rules do not apply to using basic lands. Say that you have 20 non-basic lands, for example, then Awakened Amalgam has at least 20 in power and toughness. Awakened Amalgam is one of those cards that absolutely needs help from other cards. An uncommon card originally printed in Kaladesh, reprinted in Magic Origins, “Chief of the Foundry” is a 2/3 artifact creature construct that costs 3 colorless mana to cast. 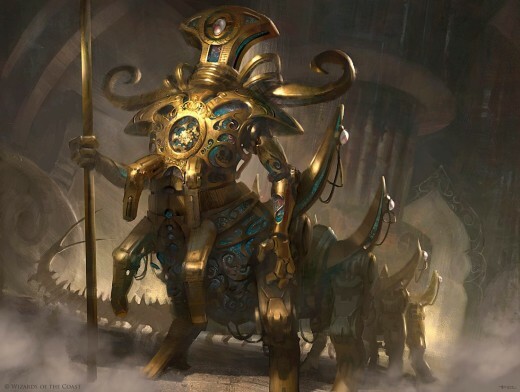 Once Chief of the Foundry is on the battlefield, all other artifact creatures you control receive +1/+1. In a typical 60-card format, it wouldn't be a bad idea to have four in the deck. 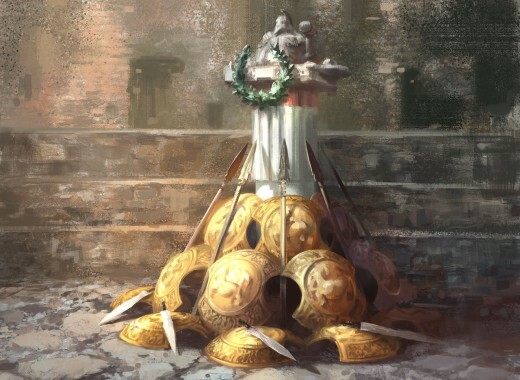 If and when all four Chief of the Foundry cards are on the battlefield, they build off each other and they all are 5/6 creatures. Having all four on the battlefield gives your Awakened Amalgam +4/+4 and that's not bad at all. “Darksteel Forge” is a rare colorless artifact card originally printed in Darksteel, reprinted as a rare in Planechase and as a mythic rare for M14, that costs 9 colorless mana to cast on the battlefield. This is perhaps one of the most crucial cards that you could ever pair with Awakened Amalgam at the moment. Once you cast Darksteel Forge, all artifacts under your control are indestructible. That means your artifacts, in general, cannot be sent to the graveyard via destruction spells and your creatures cannot die from damage, but don't get too confident because there are ways to get around the indestructible ability. An opponent can still get rid of Darksteel Forge by playing cards that force you to sacrifice or exile an artifact. An opponent playing black spells can take out your Awakened Amalgam with spells like Tomb Hex or Disfigure. 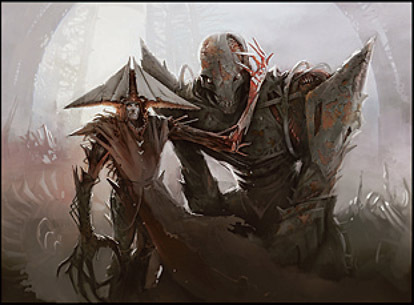 An opponent can also play a card like Diabolic Edict and force you to sacrifice a creature. 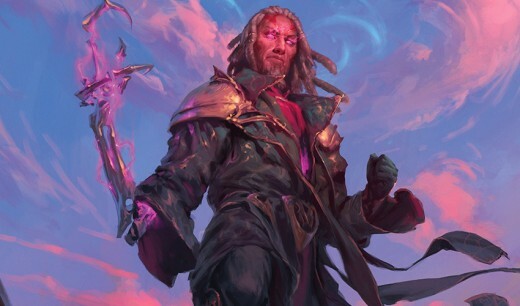 “Tezzeret the Seeker” is a mythic rare blue planeswalker originally printed for Shards of Alara, then reprinted in Duel Decks: Elspeth vs. Tezzeret & Modern Masters 2015. He costs 2 blue and 3 colorless mana to play on the battlefield. He begins with 4 loyalty counters. 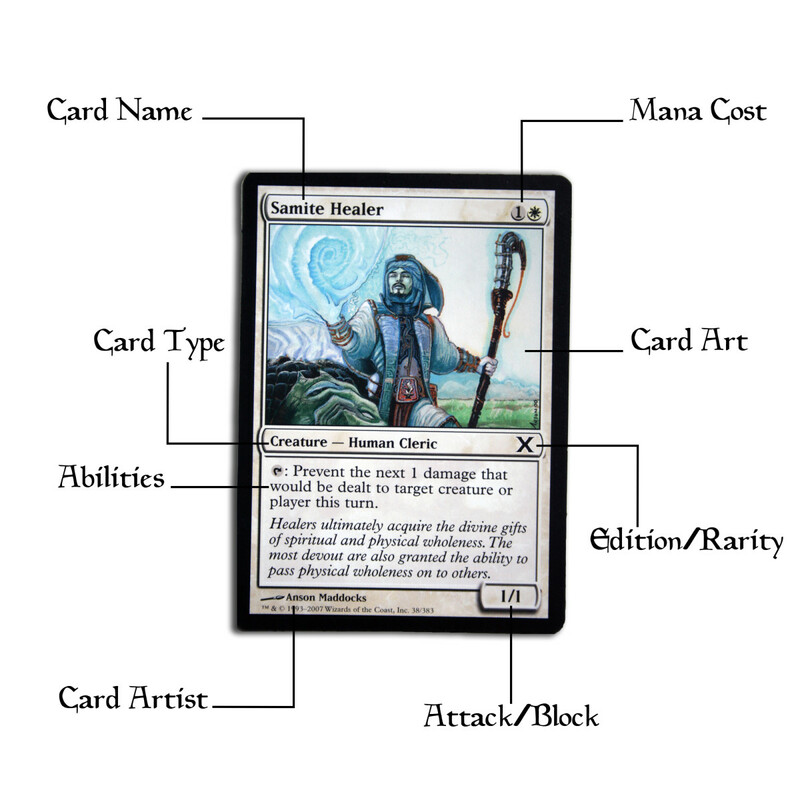 His second ability, which requires X loyalty counters, allows you to search your library for an artifact card with the converted mana cost of X or less. Once you find the card, you put the card on the battlefield and shuffle your library after. You can remove all 4 right off the bat and search for Awakened Amalgam. 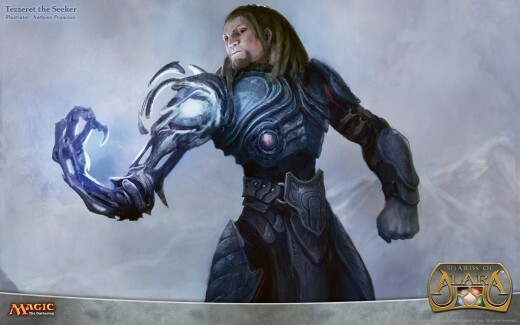 “Tezzeret, Agent of Bolas” is a mythic rare blue & black planeswalker originally printed for Mirrodin Besieged and it has not been reprinted yet. He costs 1 blue, 1 black and 2 colorless mana to play on the battlefield. He starts off with 3 loyalty counters. You can give Tezzeret, Agent of Bolas 1 loyalty counter and look at the top five cards of your library. If you find an artifact card, then you may put it in your hand. The rest of the drawn cards are placed at the bottom of your library. This is a good way to increase your chances of drawing Awakened Amalgam and getting it on the battlefield. You could combine the first ability of Tezzeret, Agent of Bolas and the first ability of Sensei's Divining Top, which allows you to look at the top 3 cards of your library and then putting them back in any order. Sensei's Divining Top, originally printed as an uncommon in Champions of Kamigawa, costs 1 colorless mana to play. It was reprinted as a mythic rare in From the Vault: Exiled and as a rare in Eternal Masters. “Tezzeret, Master of Metal” is a mythic rare blue & black planeswalker that was printed in Aether Revolt. He costs 1 blue, 1 black and 4 colorless mana to play on the battlefield. 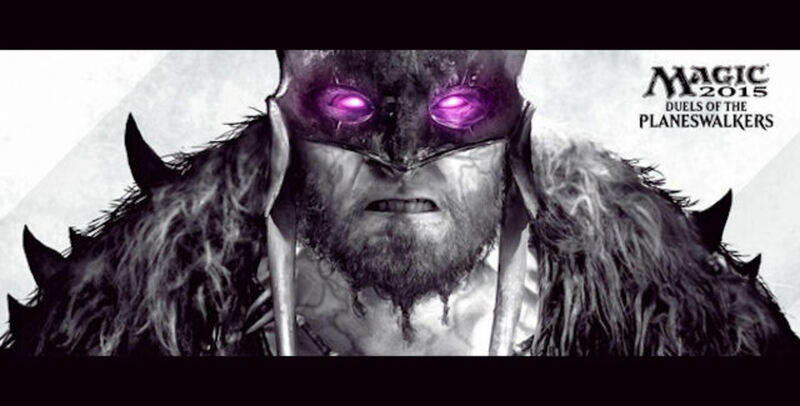 Once Tezzeret, Master of Metal is on the battlefield, he begins with 5 loyalty counters. When you give a loyalty counter to Tezzeret, Master of Metal, you reveal cards from the top of your library until you reveal an artifact card and put the rest of your drawn cards in a random order at the bottom of your library. 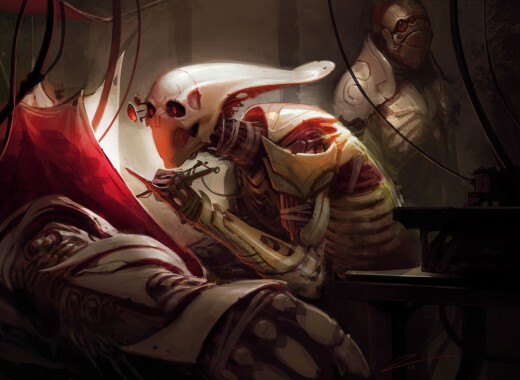 “Blade Splicer” is a rare white human artificer printed as a rare for New Phyrexia and reprinted as a rare for Modern Masters 2017. This creature costs 1 white mana and 2 colorless mana to cast onto the battlefield. When this card is cast, you create a 3/3 golem token that's a colorless artifact creature. Its second ability is helpful because it gives all your golem creatures first strike, which is handy for Awakened Amalgam. “Master Splicer” is an uncommon white human artificer originally printed in New Phyrexia and reprinted as an uncommon in Modern Masters 2017. This creature costs 1 white mana and 3 colorless mana to play on the battlefield. The semi-expensive mana cost can be a problem. Like Blade Splicer, you put out a 3/3 colorless golem creature token onto the battlefield once Master Splicer is cast. It's second ability gives all your golem creatures +1/+1. 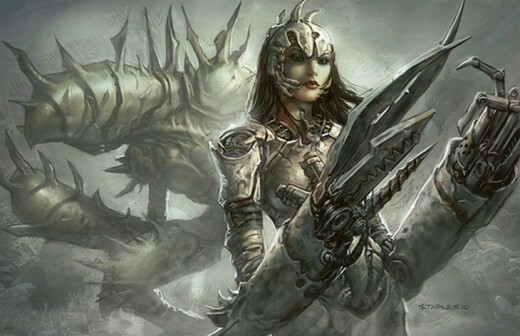 “Sensor Splicer” is a common white artificer originally printed in New Phyrexia and reprinted as a common in Modern Masters 2017. The high mana cost of 1 white and 5 colorless can be a bit of a turn-off, but it is likely worth it when you have the right cards on the battlefield. When you play Sensor Splicer, you spit out a 3/3 colorless golem creature token. Its second ability gives all your golem creatures vigilance, another handy ability for your Awakened Amalgam. “Vital Splicer” is an uncommon green human artificer creature originally printed in New Phyrexia and reprinted as an uncommon in Modern Masters 2017. It has an acceptable mana cost of 1 green and 3 colorless mana. 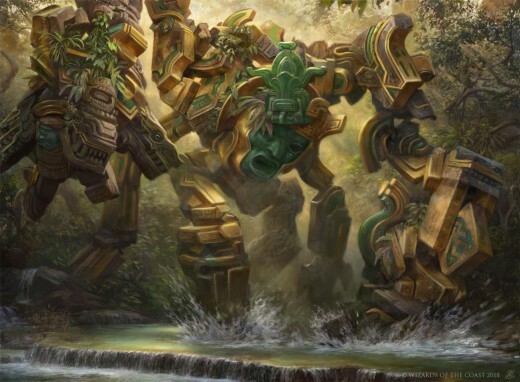 When played, you create a 3/3 colorless Golem token on the battlefield. Its second ability allows you to pay 1 colorless mana and regenerate a target Golem under your control, but there are still ways to deal with that ability. 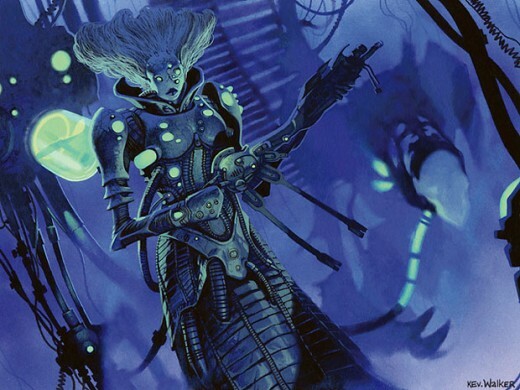 “Wing Splicer” is an uncommon blue human artificer creature originally printed in New Phyrexia and reprinted as an uncommon in Modern Masters 2017. Its mana cost is 1 blue and 3 colorless mana. Its other ability gives flying to all your Golem creatures. 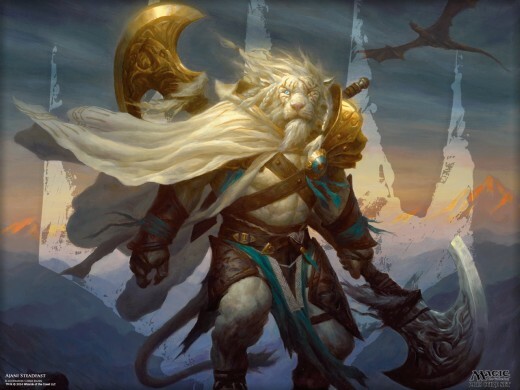 “Ajani Goldmane” is a rare white planeswalker originally printed in Lorwyn. It was reprinted a mythic rare for the M10 and M11 core sets. He costs 2 white and 2 colorless mana to play. 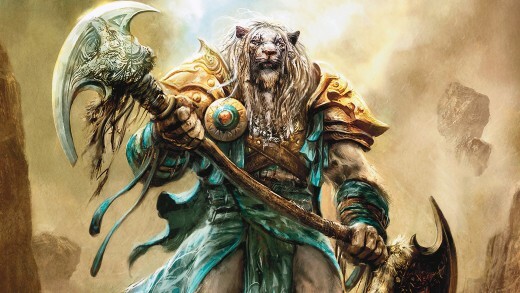 Once Ajani Goldman is cast onto the battlefield, he begins with 4 loyalty counters. You can remove a counter to put a +1/+1 counter on each creature you control and they gain vigilance until the end of the turn. 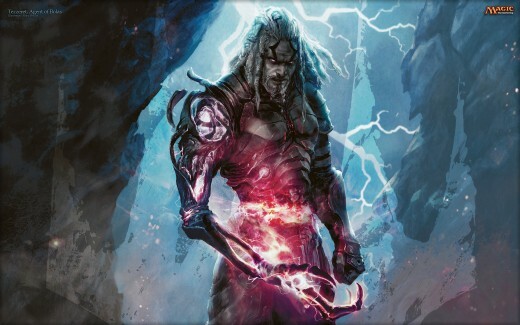 Having Ajani Goldman on the battlefield is a good way to gradually strengthen your Awakened Amalgam. “Ajani Steadfast” is a mythic rare white planeswalker that has been printed only in M15 so far. He costs 1 white and 3 colorless mana to cast. Ajani Steadfast gets 4 loyalty counters to begin with once you cast him onto the battlefield. Its first two abilities are great for your Awakened Amalgam. The first ability, which requires you to add a loyalty counter, allows you to give a target creature +1/+1, first strike, vigilance and lifelink. The second ability, which requires you to take 2 loyalty counters, allows you to put a +1/+1 counter on each creature you control. “Ajani Unyielding” is a mythic rare white & green planeswalker that has been printed only in Aether Revolt so far. His casting cost is 1 white, 1 green and 4 colorless mana to play. 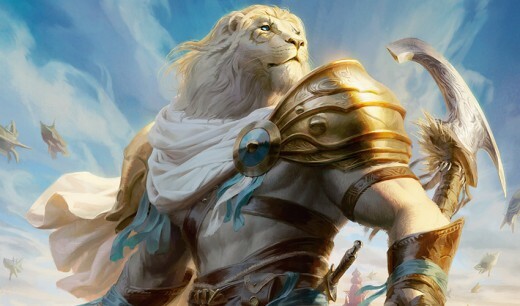 Once cast onto the battlefield, Ajani Unyielding begins with 4 loyalty counters. You can remove 9 counters to trigger the card's main ability to put 5 +1/+1 counters on each creature you control. “Ajani, Valiant Protector” is a mythic rare white & green planeswalker that's printed only in Aether Revolt so far. It shares the same casting cost as Ajani Unyielding and also starts off with 4 loyalty counters. By adding 2 counters, you trigger the first ability that lets you put 2 +1/+1 counters on a target creature. By removing 11 counters, you put X +1/+1 counters on a target creature. X is equal to your current life total. 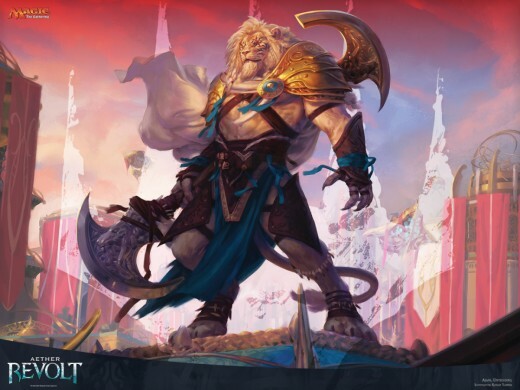 “Ajani, Caller of the Pride” is a mythic rare white planeswalker that was originally printed in M14 and reprinted as a mythic rare in M15. 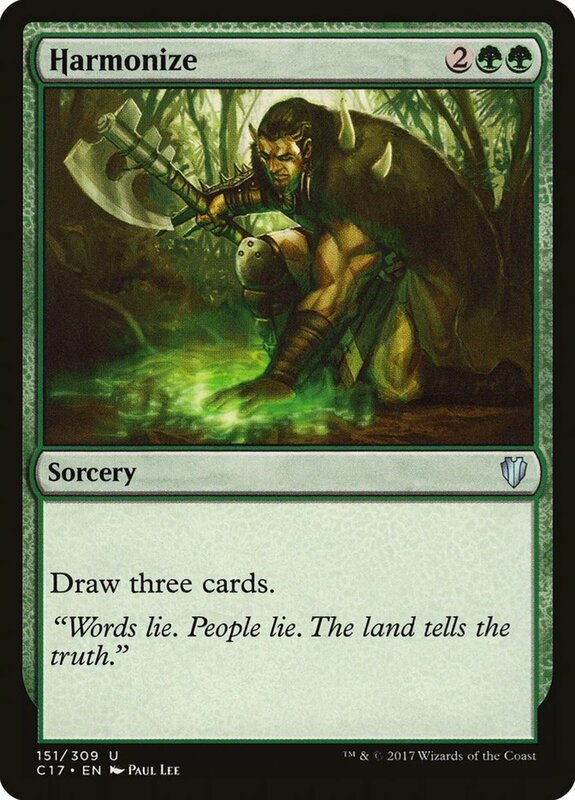 He costs 2 white and 1 colorless mana to cast onto the battlefield, where he begins with 4 loyalty counters. You can use the first ability, adding a counter onto Ajani, and put a +1/+1 counter on one target creature. 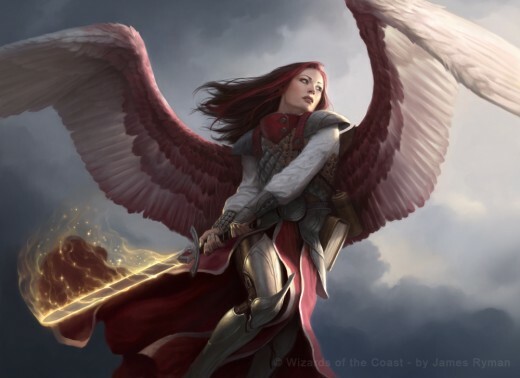 “Arcangel of Thune” is a mythic rare white angel creature originally printed in M14 and reprinted as a mythic rare in Iconic Masters. Its lifelink ability is used with its third ability, placing a +1/+1 counter on each creature whenever you gain life. “Armory of Iroas” is an uncommon colorless equipment artifact printed in Journey Into Nyx that costs 2 colorless mana to play and it costs 2 colorless mana to equip. Whenever a creature equipped attacks, it gets a +1/+1 counter. Equip this card onto your Awakened Amalgam. 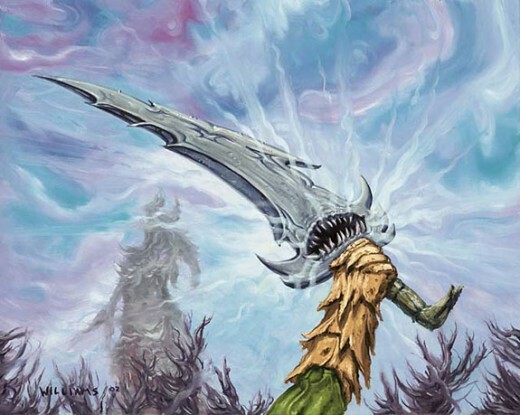 “Banshee's Blade” is an uncommon colorless equipment artifact printed in Mirrodin that costs 2 colorless mana to cast. When equipped to a creature that deals combat damage, Banshee's Blade gets a charge counter. The creature equipped with Banshee's Blade gets +1/+1 for each charge counter on the Banshee's Blade. “Steel Overseer” is a colorless construct artifact creature printed as a rare originally printed in M11. It was reprinted as a rare in Duel Decks: Elspeth vs. Tezzeret and as a mythic rare in Masterpiece Series: Kaladesh Inventions. It is a 1/1 creature with the ability to tap, which allows you to put a +1/+1 counter on each artifact creature under your control. 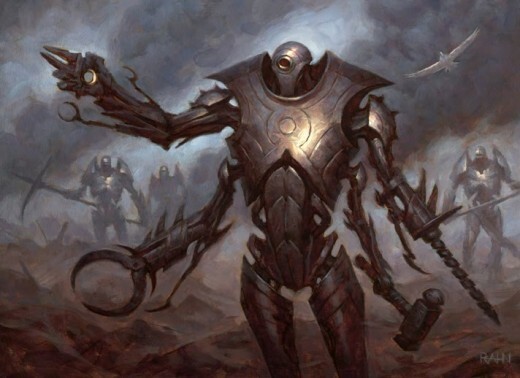 “Modular” is an ability that was introduced through the Mirrodin Cycle through Darksteel. Creatures with modular, once sent to the graveyard, allow you to use their +1/+1 counters and put them on a target artifact. In that case, place the +1/+1 counters on your Awakened Amalgam. “Exalted,” originally introduced through the Alara Cycle via Shards of Alara,” grants creatures +1/+1 when attacking alone. This is an ability that stacks. Say that you have 3 cards with exalted and you attack with one creature, that creature receives +3/+3 until the end of the turn. There are exalted cards that grant other abilities to a single attacking creature, too. Your Awakened Amalgam benefits from cards that have exalted. Awakened Amalgam is an all right card to play, but you need to be careful with what deck you plan on using it in. Given that Awakened Amalgam is an artifact creature, it's susceptible to both creature and artifact destruction spells. Plan carefully if you plan on using Awakened Amalgam. Run at least a three-color deck to be on the same side, too.